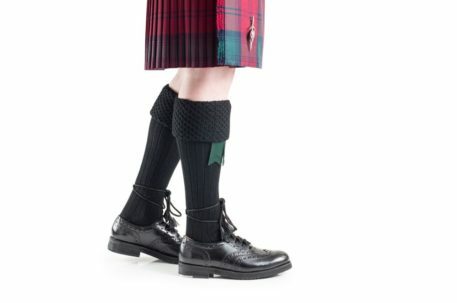 Black Piper Socks - Robert Geary Ltd.
Piper Kilt Hose by Gaelic Themes with their integrated top. The length of the turn over section can be adjusted to meet individual’s needs and requirements. 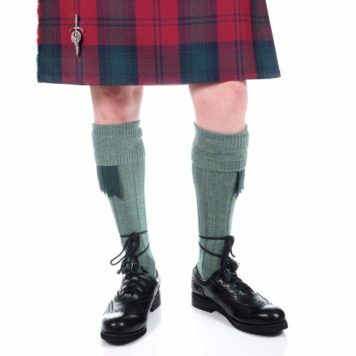 The Piper Kilt hose cross stitch section expands up to 12″ dependent on hose size. 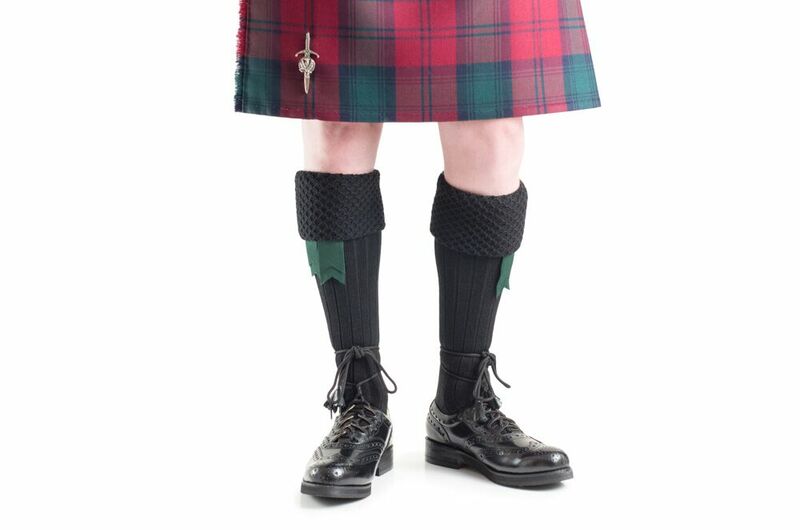 This allows the turn over section to turn over up to 3 times to produce a “roll” section at the top of the Hose. 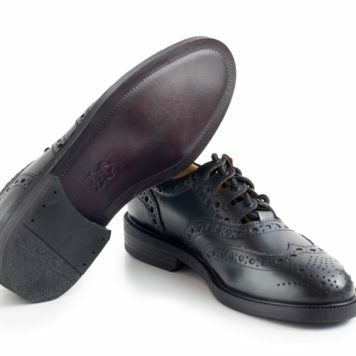 Alternatively turnover twice for an elongated look. 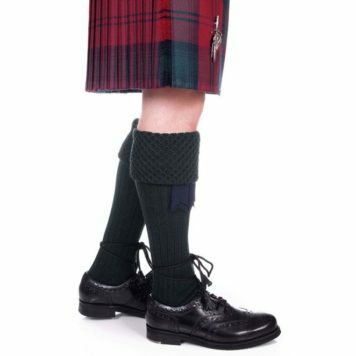 Piper Kilt Hose have become increasingly popular amongst individuals and especially band members.